Given below is the list of Top MTech Colleges in Rajasthan 2019. Rajasthan is gifted with some of the best colleges for the study of M.Tech like Birla Institute of Technology (BITS), IIT Jodhpur and Malaviya National Institute of Technology (MNIT) Jaipur. These colleges are known for their excellent pedagogy in technology, student support services and placement opportunities. Admission to these M.E Institutes in Rajasthan is based on GATE score the only exception being BITS Pilani that conducts BITSAT exam. 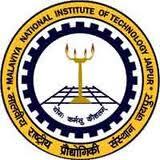 Malaviya National Institute of Technology (MNIT) is an engineering institute in Jaipur that was jointly established by the Government of India and the Government of Rajasthan in the year 1963. Indian Institute of Technology Jodhpur founded in 2008 represents a distinctive culture of engineering and science education along with other areas of scholarship and generates research to best fulfill the current and emerging needs of society, enhancing its prosperity through environmentally sustainable means.